In the late 19th century, George W. Vanderbilt II opened a mansion on the outskirts of Asheville, North Carolina. Called Biltmore, it was the largest home to ever be built in America, and a wonder of Gilded Age architecture. After only a few decades, however, Biltmore sat almost empty, and was on the brink of being sold by the Vanderbilt family. With the help of Vanderbilt’s grandson William Cecil, Biltmore made a comeback in the 20th century, and has since grown into one of the largest historic tourist attractions in the United States. Breaking ground in 1889, Biltmore was the vision of George Washington Vanderbilt II, the youngest child of railroad tycoon William Henry Vanderbilt and his wife Maria Louisa Kissam. At the beginning of Biltmore’s construction, the United States had reached the peak of what historians now call the Gilded Age, a time period which lasted from the 1870s until the early 1900s. Named after Mark Twain’s novel The Gilded Age: A Tale of Today, the era coincided with the second Industrial Revolution, which brought a rapid surge in wealth in several areas of the country. This increase in monetary capital led to a rise in the wages for skilled workers, and immigrants from around the world were soon pouring into the United States, looking to take their own cut of the growing national fortune. OHEKA CASTLE in Long Island, one of the major Gilded Age mansions. Reprinted from OHEKA CASTLE by Joan Cergol and Ellen Schaffer, courtesy of OHEKA CASTLE Hotel & Estate (pg. 96, Arcadia Publishing, 2012). However, this influx of settlers also caused a major wage gap, as there were not enough jobs to sustain the amount of people who arrived searching for work. As a result, many citizens and immigrants lived within poverty, while a lucky few amassed a seemingly-infinite amount of affluence. This inequality, criticized by Twain in his novel, resulted in a society where the suffering of the masses was masked by the rich with a thin veneer of “gilding,” or golden covering. Despite the vast socioeconomic issues, money continued to accumulate in the country amongst lucky businessmen, whom became tycoons of industry. This disparity between the rich and poor would remain until well into the 20th century. To showcase their success, the wealthy families of the Gilded Age often built elaborate and luxurious homes for themselves, and the time period soon became known for its lavish mansions and estates. 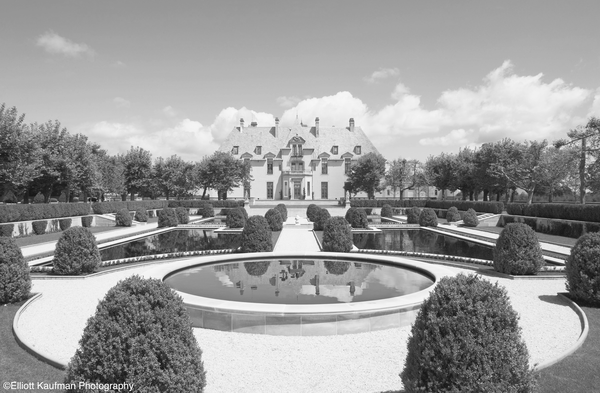 Mansions like Oheka Castle in Long Island, New York, or the Conyers Estate in Greenwich, Connecticut stood as the ultimate symbols of affluence in the time period, and came to be envied by the masses. Townhouse – The main residence of Cornelius Vanderbilt II, Townhouse (otherwise known as the Cornelius Vanderbilt II House) was located in Manhattan, New York. The largest private residence to have ever been built in the borough, Townhouse was constructed in 1883, but later demolished. Woodlea – Built in Scarborough, New York by Margaret Louisa Vanderbilt Shepard, Woodlea was constructed from 1892 to 1895. The mansion was originally built as a 140-room private residence, but today serves as the Sleepy Hollow Country Club. Marble House – Also located in Newport, Rhode Island, the Marble House was built by William Kissam Vanderbilt between 1888 and 1892 as a summer “cottage.” The mansion, which has 50 rooms, once commanded a staff of 36 servants, and cost nearly $300 million in today’s dollars to build. Florham – The eighth largest house in the United States, Florham is located in Madison, New Jersey. Commissioned by Florence Adele Vanderbilt between 1893 and 1899 in the English-baroque style, the mansion now serves as the centerpiece to Farleigh Dickinson University. 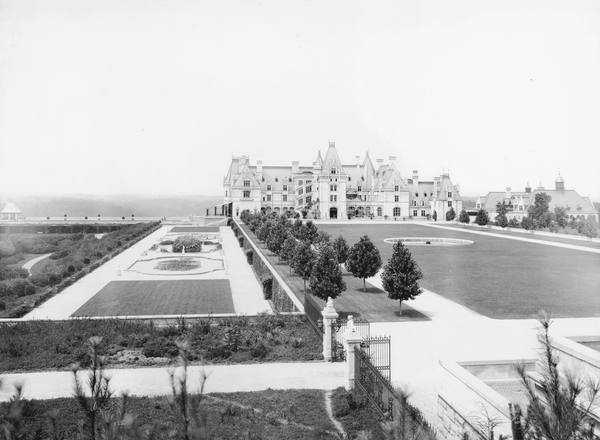 Rough Point – Originally created for Frederick William Vanderbilt, Rough Point (like many Vanderbilt mansions) is located in Newport, Rhode Island, on a 10-acre estate. While other Vanderbilt mansions were left abandoned for several decades after their original owners vacated, Rough Point was inhabited until the 1990s, and is today open as a museum. Hyde Park – Also known as the Vanderbilt Mansion National Historic Site, Hyde Park was one of many homes owned by Frederick William Vanderbilt. The 54-room mansion is located in Hyde Park, New York, and was constructed from 1896 to 1899. Today, it serves as a historic home and museum, and has been a National Historic Landmark since 1940. While the Vanderbilt estates were all impressive in their own right, none could compare to Biltmore – at 175,000 square feet, Biltmore is still the largest private residence in the United States. Originally intended as the home of George W. Vanderbilt II, it was built in the French chateau style in Asheville, North Carolina, an area George had visited with his mother as a young man. Referring to Asheville as his “little mountain escape,” Vanderbilt soon took a note from his older siblings, and broke ground on his estate in 1889, which he chose to name after the family’s homeland in Holland. George W. Vanderbilt II in 1914, and his wife, Edith Stuyvesant Dresser, pictured in 1898 before their wedding. Reprinted from Biltmore Estate by Ellen Erwin Rickman (pgs. 12 and 15, Arcadia Publishing, 2005). Construction of the massive 250-room mansion and the surrounding estate took six years to complete, and George finally opened his new home to family and friends on Christmas Eve, 1895. 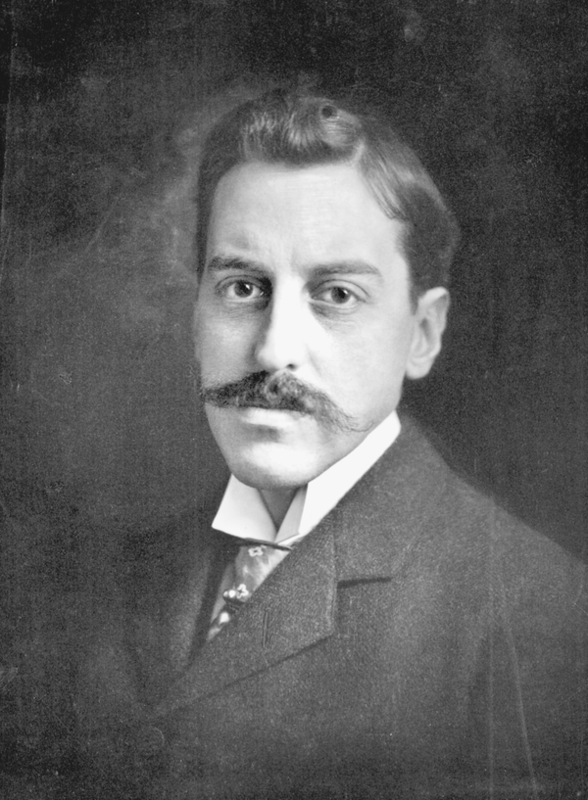 Soon after, he married Edith Stuyvesant Dresser (a descendent of Peter Stuyvesant, the first governor of the Dutch colony in present-day New York) in 1898, and the two returned to live full-time at the Biltmore Estate. 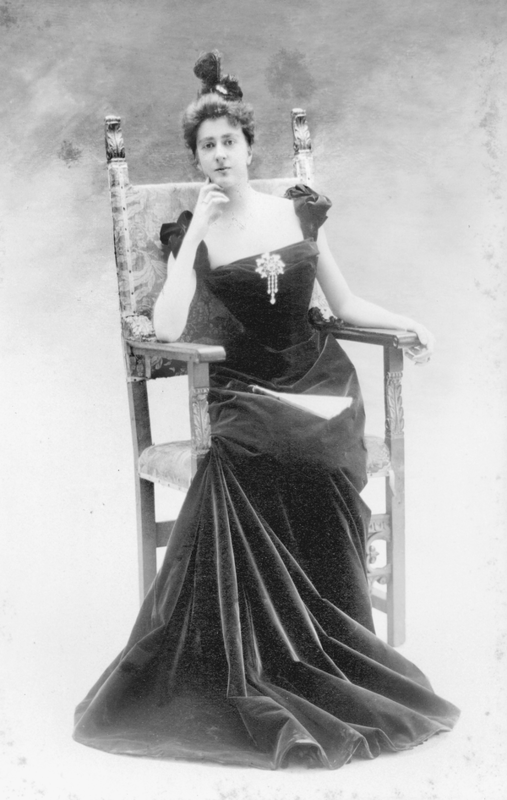 The Vanderbilts lived for a couple of years at Biltmore together before welcoming their daughter (and only child), Cornelia Stuyvesant Vanderbilt, who was born in the mansion’s Louis XV room in 1900. Cornelia was subsequently raised on the estate, attending both school and weekly church services in Biltmore Village. Cornelia Vanderbilt, also called “Tarheel Nell” in 1924. Reprinted from Biltmore Estate by Ellen Erwin Rickman (pg. 110, Arcadia Publishing, 2005). George Vanderbilt’s dream of a self-sustaining estate seemed realized in the early days of Biltmore, but was nearly shattered after George’s untimely death in 1914. 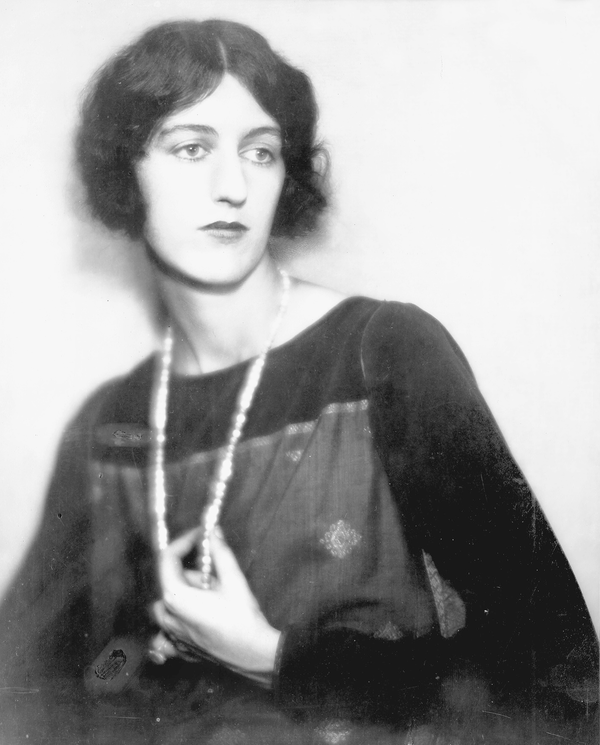 The estate, which was willed to Cornelia, became the responsibility of her mother Edith, as she was only 14 at the time of her father’s death. Edith subsequently finalized the sale of 87,000 acres of the Biltmore estate to the federal government (a deal George had been working on before his death), which she sold on the promise that the land would remain unaltered. This land went on to become the nucleus of Pisgah National Forest. Other sections of the estate were sold off as well, including Biltmore Village, and Edith only occasionally stayed in the mansion while her daughter attended school elsewhere. The Vanderbilt family would not return full-time to Biltmore until Cornelia’s wedding in 1924 to the Honorable John Francis Amherst Cecil, a descendent of Queen Elizabeth I’s top-advisor William Cecil. John and Cornelia chose to reside at Biltmore, where they had two sons: George Henry Vanderbilt Cecil (born in 1925), and William Amherst Vanderbilt Cecil (born in 1928). Both boys were born in the Louis XV room of Biltmore like their mother, and were also raised on the estate. During this time, the Vanderbilts (at the urging of the city of Asheville) opened up the Biltmore estate for the first time to the public, hoping to generate much needed revenue during the Great Depression. However, the house did not receive many visitors during these years, and by World War II the estate had once again closed to the public. During the war, Biltmore was used to house and protect various artworks, including works by Raphael, Rembrandt, and Gilbert Stuart’s famed portrait of George Washington. 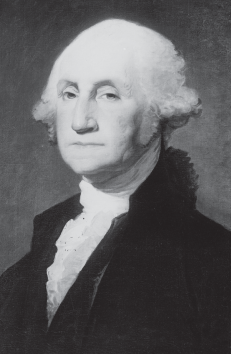 The Gilbert Stuart portrait of George Washington. Reprinted from Urban Legends and Historic Lore of Washington by Robert S. Pohl, courtesy of the Library of Congress (pg. 25, The History Press, 2013). Despite the estate’s economic hardships during the Great Depression, Cornelia’s sons spent many of their formative years split between an education in Europe, and holidays spent at Biltmore. The Cecil’s eventually divorced in 1934, and Cornelia left the estate, moving abroad to France. She never returned to Biltmore. John Cecil maintained residence at Biltmore, living in a suite of rooms until his death in 1954. By the time William (better known as Bill) Cecil had graduated from Harvard University in the mid-20th century, Biltmore had fallen into a state of disrepair, and was losing over $250,000 USD per year. The estate was supported only by a profitable dairy operation, which could not sustain the losses of the mansion itself. In an attempt to save the estate from being sold away from the family, Bill Cecil moved from a junior officer position with Chase National (now Chase Manhattan) to Biltmore with his wife and children at the end of the 1950s. Cecil’s quest to help rebuild Biltmore would prove a long one: Following the death of his mother in 1974, his older brother George inherited the already-successful Biltmore farm operations and estate grounds, while he inherited the mansion itself. 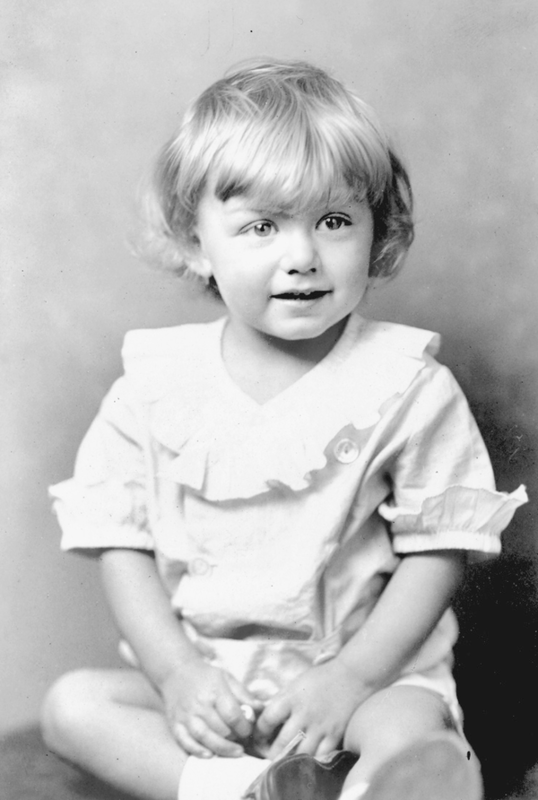 William Amherst Vanderbilt Cecil in 1930, at approximately age 2. Reprinted from Biltmore Estate by Ellen Erwin Rickman (pg. 18, Arcadia Publishing, 2005). Calling on his grandfather’s dream of a self-sustaining estate, Bill attempted to turn the Biltmore house into a desirable tourist destination during the 1960s. Using careful marketing techniques, Cecil attempted to promote Biltmore to the public. One notable example was quite direct: along with placing an eight-page ad for the house in local newspapers, Cecil published an offer for a free turn of the century recipe from the Biltmore kitchens. The offer eventually became so popular that Cecil began charging a quarter for the recipe, and the money (with self-addressed envelopes for the recipe) rolled in. Not all of Bill’s marketing was direct, however – for example, when an eclipse occurred in Asheville during the 1960s, Cecil gave photos of the phenomenon (which had been difficult to obtain) to the press free of charge. The photos also just “happened” to include Biltmore’s silhouette. These efforts all focused on the tourism aspect of Biltmore, although Cecil did experiment with other projects to increase house revenue, like small farming experiments. The Biltmore Winery: Established in 1985, Cecil believed the estate needed a village winery to complete its image as a French chateau. Residing in Biltmore Antler Hill village, the winery is said to have been Bill’s favorite addition to the estate, and now sells over 90,000 cases of wine per year. Deerpark Restaurant: Opened in 1979, the restaurant was opened to help drive tourists to not only visit, but also dine or stay on the estate. It is still in operation today as a Southern-style buffet restaurant. Stable Café: Opened in 1987, the café is part of the larger Stable complex that Cecil also helped to construct. The restaurant continues to operate, offering mainly barbecue dishes. Celebrating the estate’s 100th anniversary in 1995, Cecil opened several different attractions at the estate, including a welcome center for visitors, an ice cream parlor, and two restaurants: A Gardner’s Place, and the Bistro. The Inn on Biltmore Estate: Opened in 2001, the four-star hotel was commissioned during Cecil’s time on Biltmore’s board of directors. In addition to these achievements, Cecil is also credited with placing Biltmore on the National Register of Historic Places, which it joined in 1966. Although Bill Cecil stepped down from day-to-day operations at Biltmore in 1995, he remained the chairman of the site’s board of directors until his passing in October 2017. However, the estate has not left family hands: run by Cecil’s children, the current CEO of Biltmore is Bill Cecil Jr., and Cecil’s daughter Dini Pickering assists in day-to-day operations. The east elevation of Biltmore Estate in 1910. The grounds of the estate were designed by famed landscape architect Frederick Law Olmsted. Reprinted from Biltmore Estate by Ellen Erwin Rickman (pg. 32, Arcadia Publishing, 2005). Today, Biltmore is visited by over one million people per year and is a subsidiary of Cecil’s company The Biltmore Company. This company oversees both the Biltmore mansion and its other associated business (such as the winery). The product of George W. Vanderbilt II and Bill Cecil’s labor of love, the estate profits approximately 50 million USD per year, and stands as a national icon to the Vanderbilt family and the Gilded Age period. To learn more about Biltmore and the Vanderbilt family, check out the books below! Have you ever visited Biltmore? What did you think? Let us know in the comments!